Light (and darkness) will be an important part of Cavery. I want the player to feel small and vulnerable; most of the screen will be covered in black. That's why I'm working on a 2D lighting system. It's based mostly on shaders at the moment. 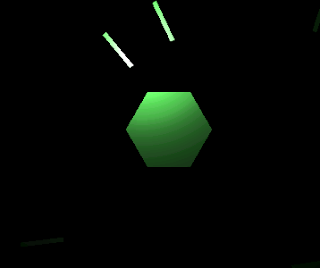 All rendering is made by libgdx, of course! 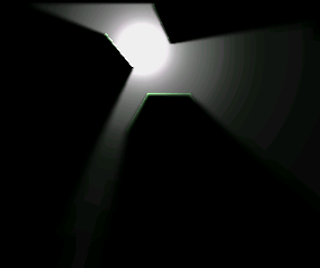 Then I'm blurring it a bit to make the shadows softer and more realistic. Notice how they get softer with increasing distance from light source. Then I'm merging it with the original geometry with a little bit of additional effects (edges catch light, see it?). 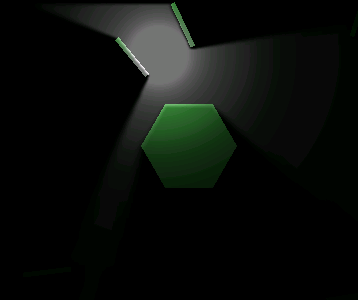 2 Response to "Lighting system for Cavery"
Looks sweet, nice soft shadows!